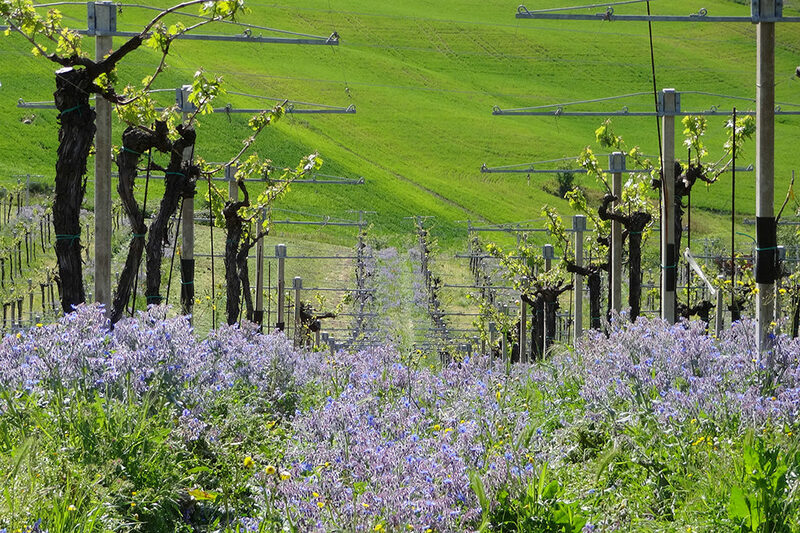 The Vineyard. 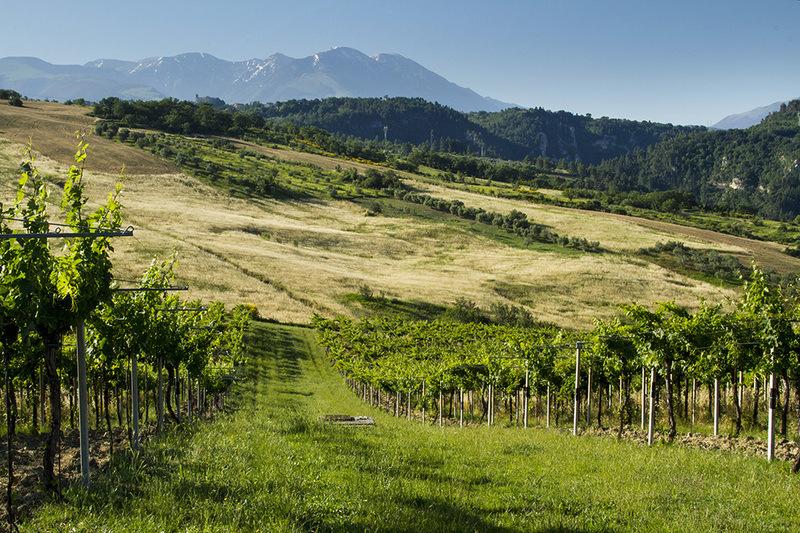 Binomio is a classic “tendone abruzzese” with three canes per vine. 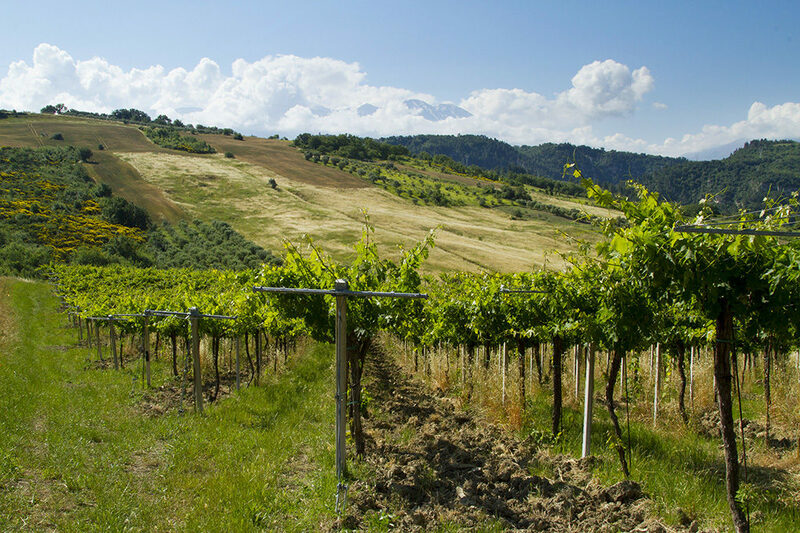 The vineyard had had a rather troubled past and had gone through several hands before ending up as a lot in a legal auction where we were able to buy it. Strangely we were the only ones participating at the auction. 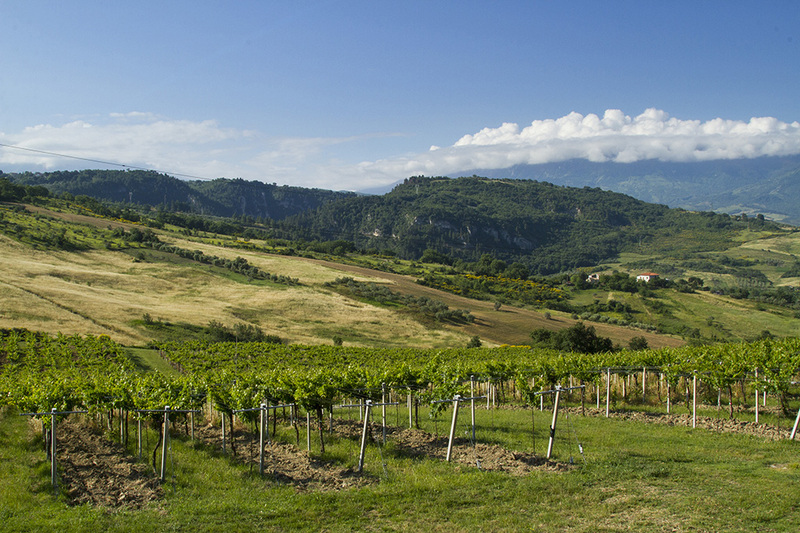 In fact, the vineyard was known for its poor production and nobody wanted it. 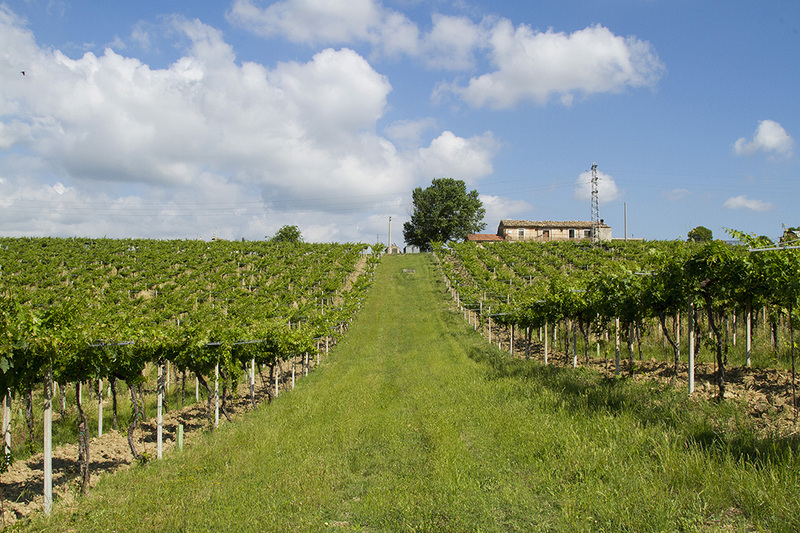 The excellence of the terroir, the 40 year old vines and the warm situation of the vineyard are the main factors that make Binomio unique, together with the historical grape clone. 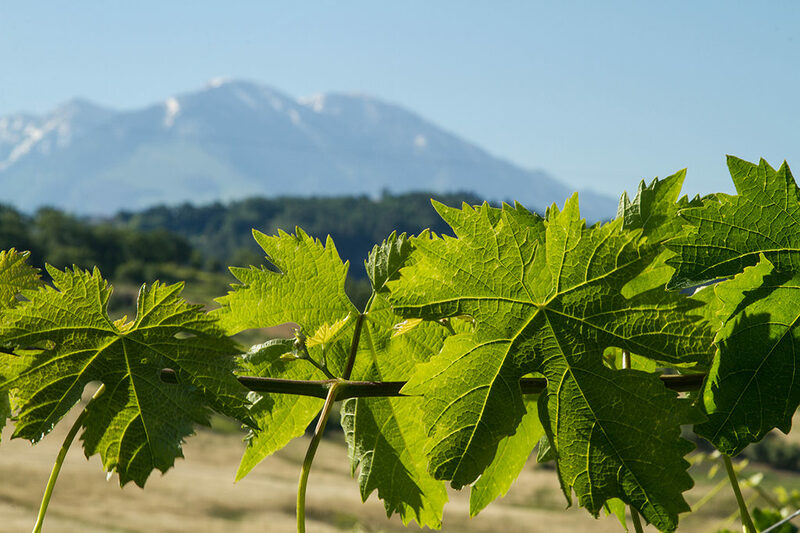 The vine is an old Montepulciano bio-type variety defined as the “Africa-Binomio clone” that produces short-tailed bunches with small berries that resemble the shape of the African continent. Viticulture. Our approach is one of good husbandry and family tradition. 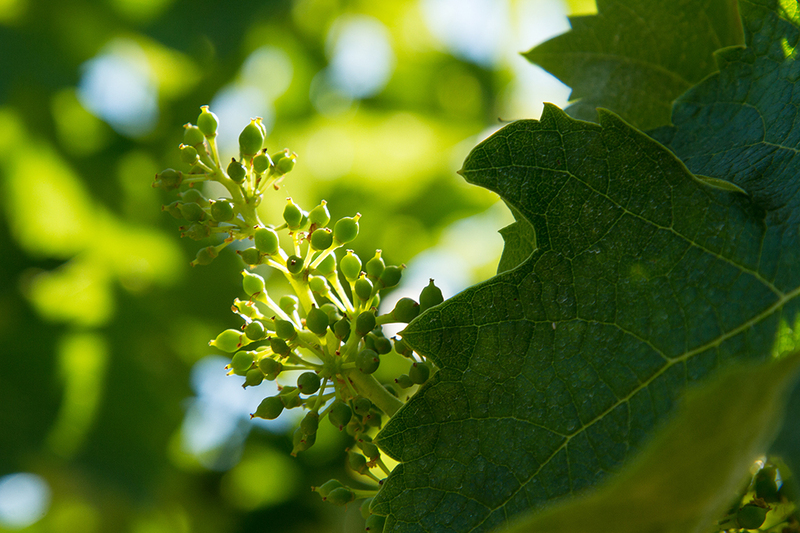 It is only by respecting nature and the sound application of rural management techniques that our vines can reach their balance, expressing their essence through the goodness of the grape. We believe that the site and the management of the vineyard are the primary advocates of a truly great wine. Only later will its special and distinctive characteristics emerge. 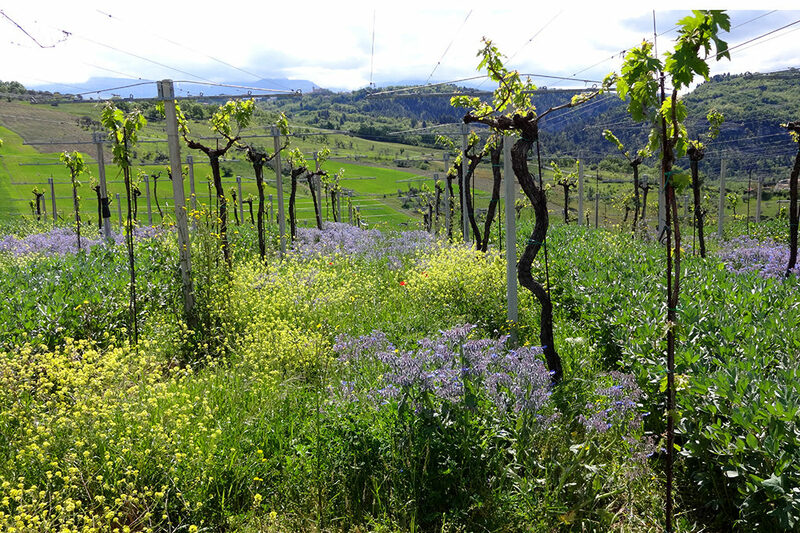 Natural vegetation and the proper management of the land have led over the years to the vineyard’s optimal state of vegetative and productive equilibrium. The spontaneous generation of humus has eliminated the need to fertilize. 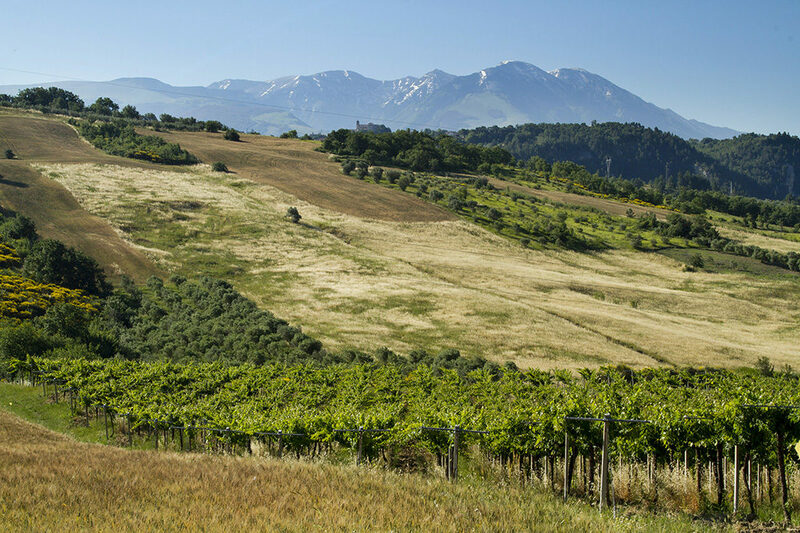 In order to obtain a reserve from each vintage, production is maintained at around 50 quintals per hectare, with limited thinning.